If you haven’t seen Cheyenne Jackson in action, you must do so immediately. Film festival season! I volunteered for the Hollyshorts Film Festival in Hollywood in August and got to see a bunch of great shorts. A few I really liked were The Council and Interstate. The Council is by AFI alumni Beau McCombs and Nich Musco and had great visuals and a wonderful, charming story. IMDB does a better job of explaining it: “While talking to the girl of his dreams, Theo gets an Idea for a joke. At this moment we go INSIDE Theo’s brain and follow this Bright Idea as he fights past Insecurities to get to The Council Chamber so he may be approved to be said out loud.” It’s super cute. They took such a great idea and executed it perfectly. And, my fellow B-Lo native, Michael Beardsley, makes an appearance! You can see a trailer of The Council here. I also really enjoyed Interstate by Camille Stochitch, which is about a driving instructor who helps illegal immigrants get licenses and is put in a compromising situation where… well, why don’t you just see it for yourself. 🙂 It was sweet yet heart-wrenching yet topical story that was very well done. Through a panel at the Hollyshort Festival I became aware of Elaine Hendrix’s foundation, The Pet Matchmaker. If you’re from my generation, you’ve surely seen Elaine in gems like the reboot of The Parent Trap and, one of my personal favorites, Superstar (which I totally own on VHS). The Pet Matchmaker is a non-profit whose mission is, “to foster happy, healthy relationships between people and their rescue pets.” I love animals and have a rescue kitty myself, so I am very passionate about this organization. If you’ve been thinking about adopting, check them out now! 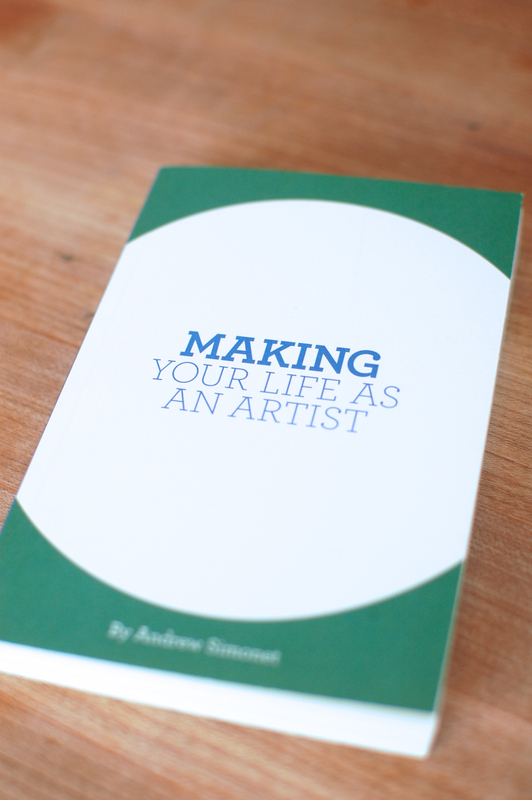 I came across this amazing e-book called “Making Your Life as an Artist” by Andrew Simonet. The PDF is FREE to download at www.artistsu.org/making. OMG. This made my heart so happy. I highly, highly recommend this for any and all people who have chosen to devote their lives to something creative. This is all stuff we really need to hear because it reminds us of how important we are to the world and helps right some really rampant and unhelpful mindset issues. Lastly I just want to give a shout-out to Rogue Machine and give some love to the theatre. I love theatre. I will always love theatre. Right now I’m fortunate to be assistant directing/helping with producing for Nice Things by Vince Melocchi at Rogue Machine Theatre. This whole process just reminds me why I LOVE working on new works so much and how crazy satisfying and energizing it is to be all working together towards the goal of telling a story in the best way possible. We have fun, but everyone takes it really seriously, and I love that. I’ve been in a mishmash of theatre out here and it feels so incredible to work with people who have SOOOOO much respect for the artform. You best check it out. I have a feeling this show will be on my list next month. 🙂 Tickets available soon at www.roguemachinetheatre.com.